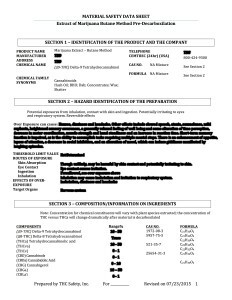 MSDS – THC Safety, Inc.
Material Safety Data Sheets (MSDS) are required by OSHA in their hazards communication standard for all chemicals. 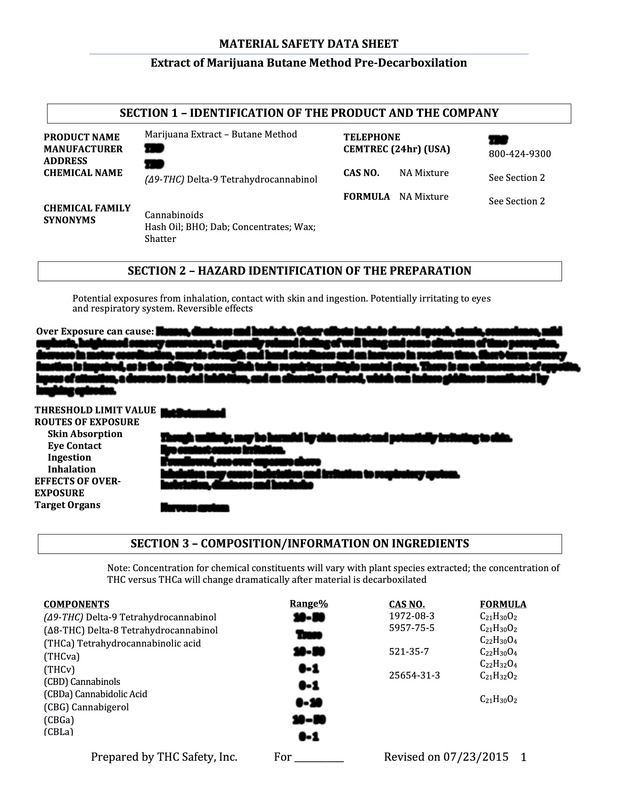 A MSDS is not required for consumer food or food products. 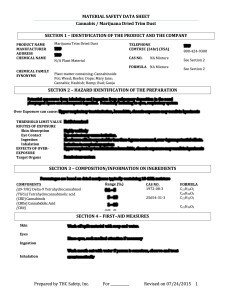 However, food product ingredients that are being used in manufacturing may require an MSDS if under normal conditions of manufacturer, employees may be exposed to a hazard from the ingredient. An example would be flour, the material is an ingredient in food, but also may generate a physical hazard from dust explosion. In addition some flours include enzymes that are sensitizers, and thus present a health hazard. The pharmacy does not need to have MSDS for drugs, but Drug Manufacturers do need to provide an MSDS for active pharmaceutical ingredients in a manufacturing environment. 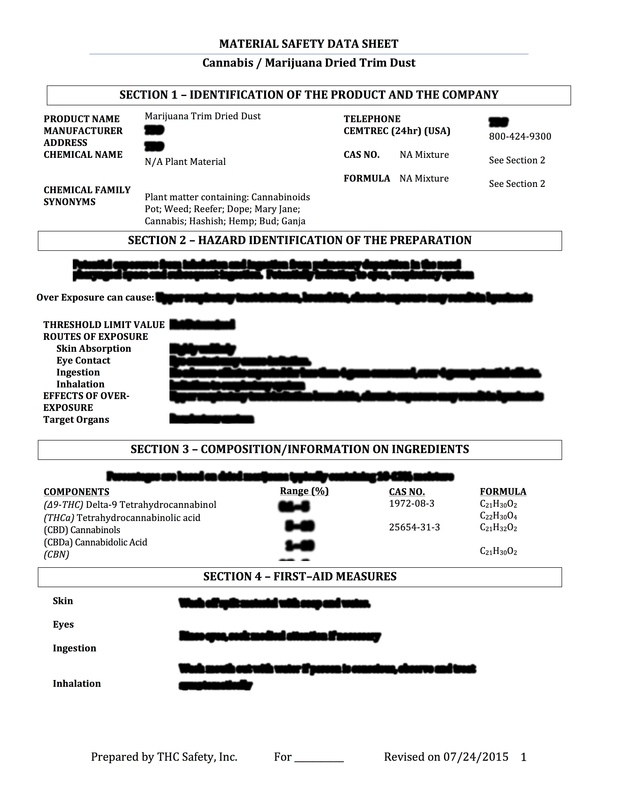 Remember that MSDS’s are not meant for consumers but for occupational exposures. THC Safety offers Material Safety Data Sheets for client purchase for use in their hazard communication program because we believe that there is an occupational hazard associated with the processing of marijuana and marijuana products. We strive to ensure that our clients are not only in compliance with regulations but operating within best practices!